Most businesses have a gold mine under their feet, an often neglected one that has the potential to boost sales and drive growth. If you’re ignoring the potential that your existing customer base has to offer, you’re not alone. Many businesses sacrifice potential growth by placing too much focus on developing new customers. No self-respecting expert would advise you to ignore prospecting for new business, but, at the same time, it shouldn’t be emphasized over the value of using what you already have: customers who value your products and services. Customer retention can take many forms, but a program that focuses on consistent communication with your existing customers allows you to develop trust, position yourself as an authority, grow your sales through up-selling and cross-selling and acquire referrals. Cost – It’s generally true across the board that it costs more money to acquire one new lead than it does to sell to an existing customer. Further, the total costs to keep a customer lessen over time, with the need for support and communication decreasing the longer the customer buys from you. Value – Existing customers are easier to convert into loyal customers, increasing the sales value of a single customer in terms of moving them through the sales cycle, where they buy additional, related products and services from you, as well as moving them higher on the sales cycle, where they buy more expensive products and services. Competition – In saturated markets, businesses that focus on customer retention can set themselves apart from other businesses that offer similar products and services. Once a customer sees your business as offering high value, they will often buy your products or services at a higher cost than what the competition offers. 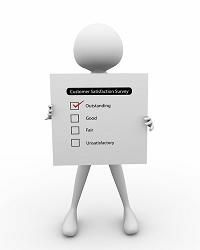 Expectations – Customers demand more from today’s businesses, and a customer retention program that offers personalized, customized service satisfies that demand, leading to higher customer satisfaction. If you want to see your business succeed at the level you’ve always dreamed about, contact Continuity Programs today and ask about our customer retention programs. Our comprehensive company branded programs can be easily customized to fit your company’s services, and we will personalize all marketing materials to highlight your brand.